Deliveries will start in late July, which is slightly later than what Pebble originally proposed, the company said Monday. People who backed the smartwatch’s crowdfunding campaign early on will have theirs shipped out the last week of July, the company said. People who contributed later will receive shipping information by the end of August. “The delivery timeframe for Pebble Time Steel rewards is a little off from the original estimate we shared during the campaign, but well get everything shipped as fast as possible,” the company said. 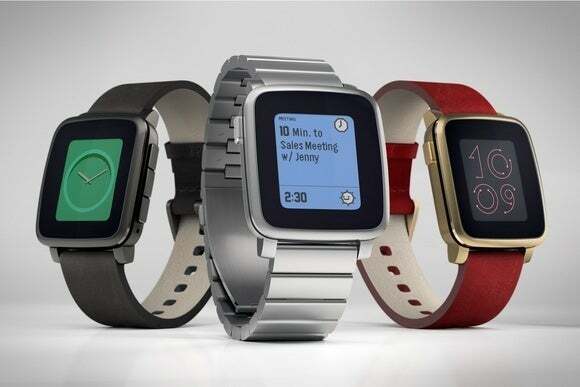 The Pebble Time Steel is the somewhat higher-end version of the original Time model. The Time Steel has a stainless steel casing and a battery that Pebble says lasts 10 days on a single charge, compared to seven days for the Time. Because of the longer battery life, the Time Steel is a millimeter thicker. Both watches work with an iPhone or Android smartphone and use Pebble’s timeline interface.